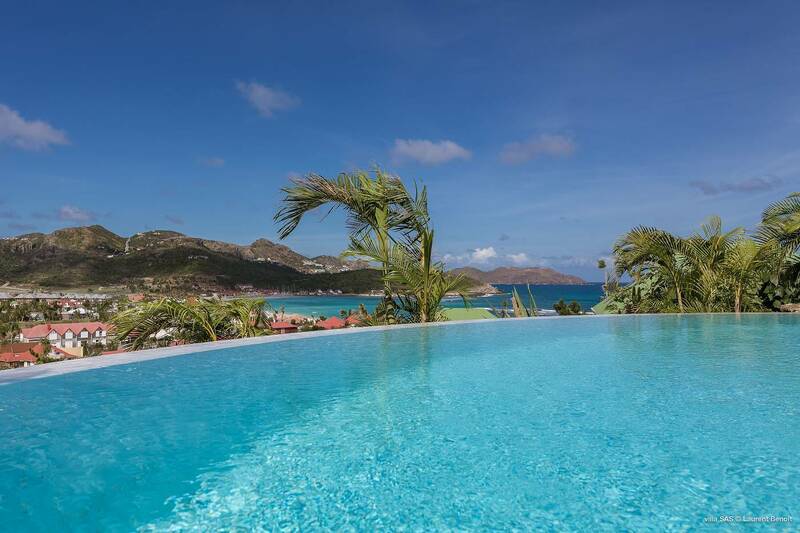 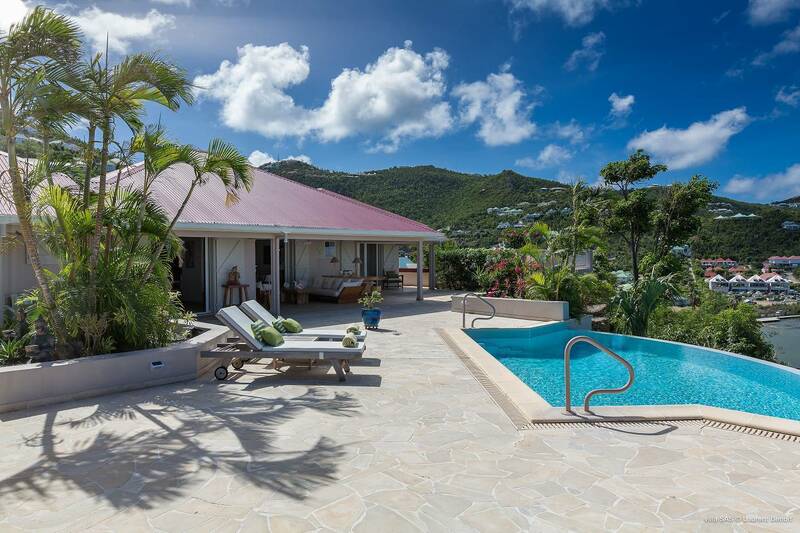 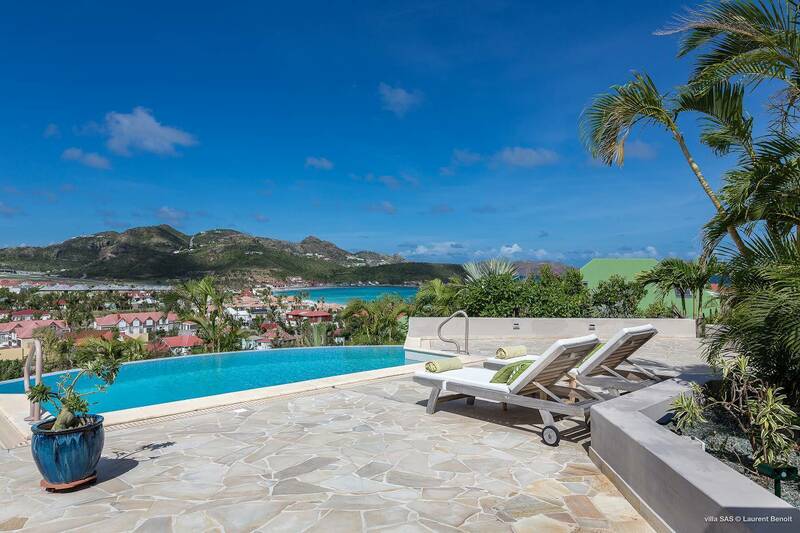 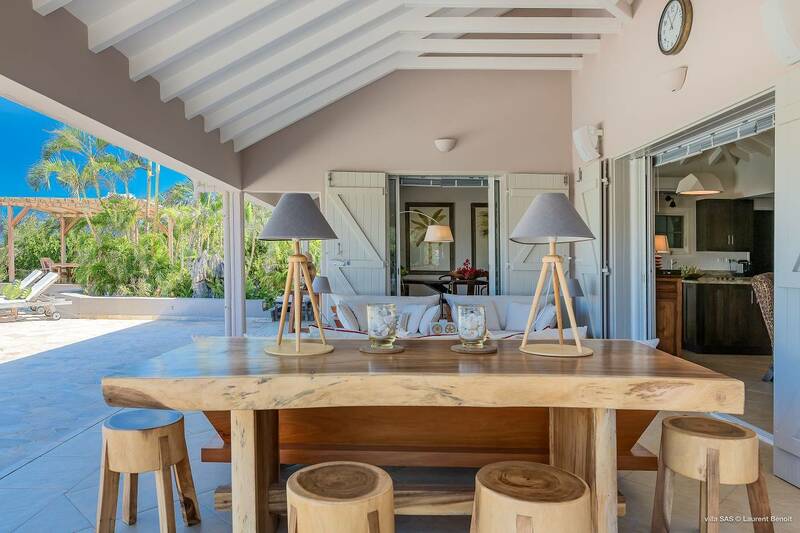 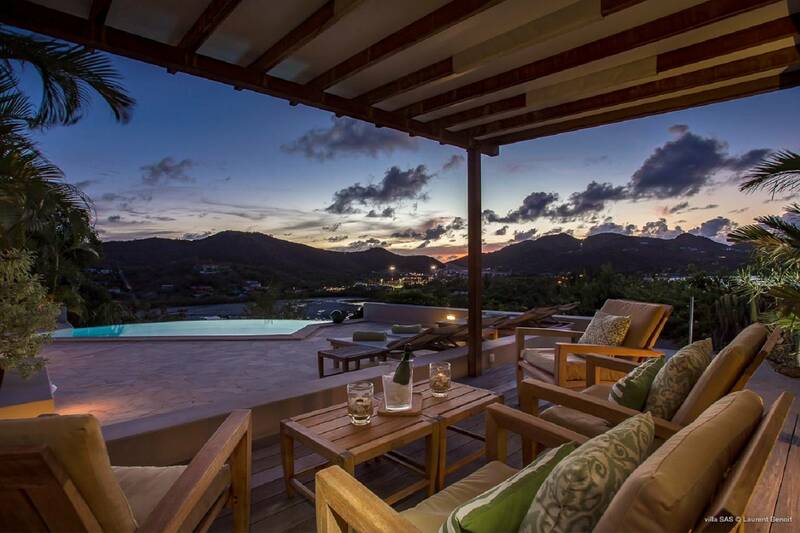 Dream About: Experiencing the St. Barth Villa Lifestyle close to one of the island most popular neighborhoods – St. Jean. 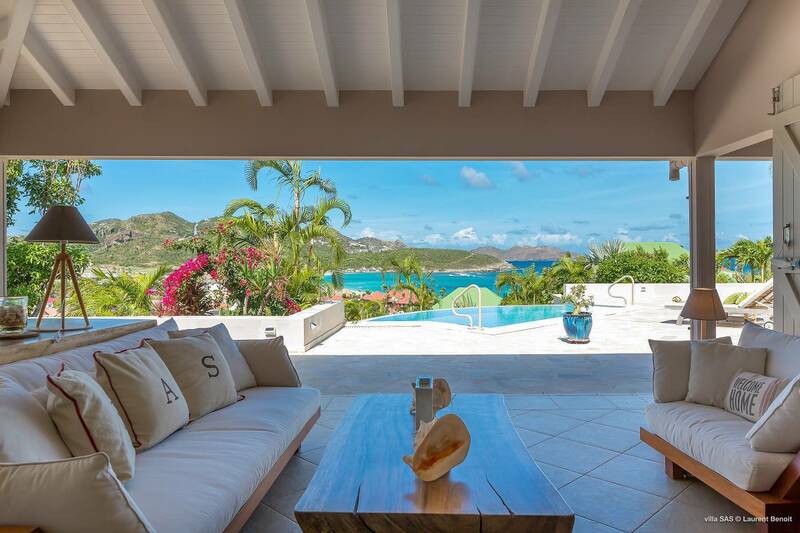 Stunning vistas of the Baie de St. Jean are just one of the features of the ever-popular two bedroom Villa Sasie. 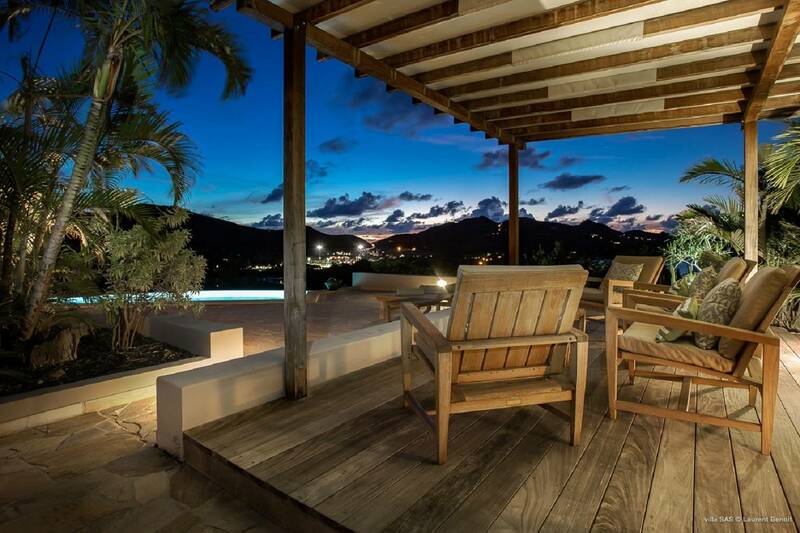 Guests are treated to tropical breezes and glorious sunrises and sunsets. 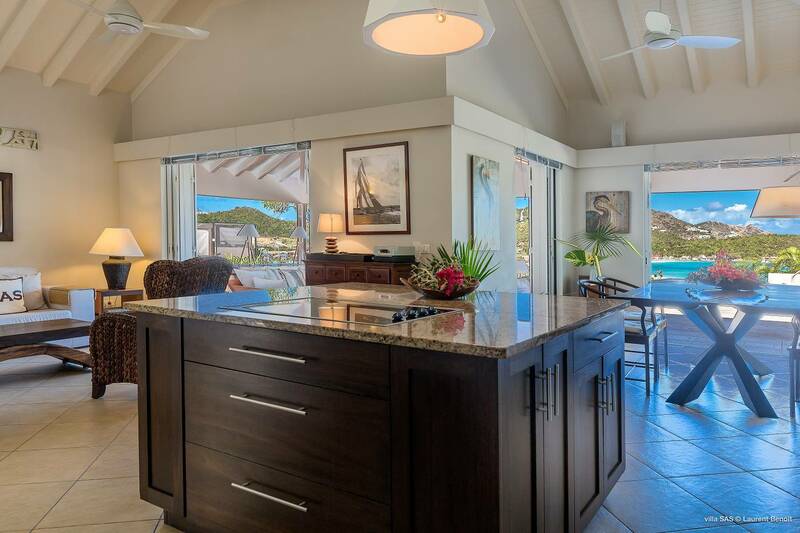 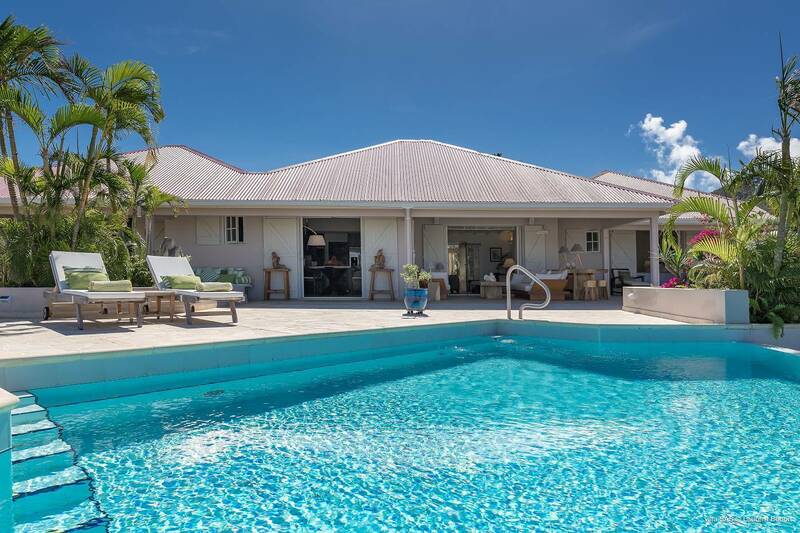 A French Caribbean-styled open one-level floor plan, includes living and dining areas, a chef-worthy kitchen and two en suite bedrooms located in separate private wings. 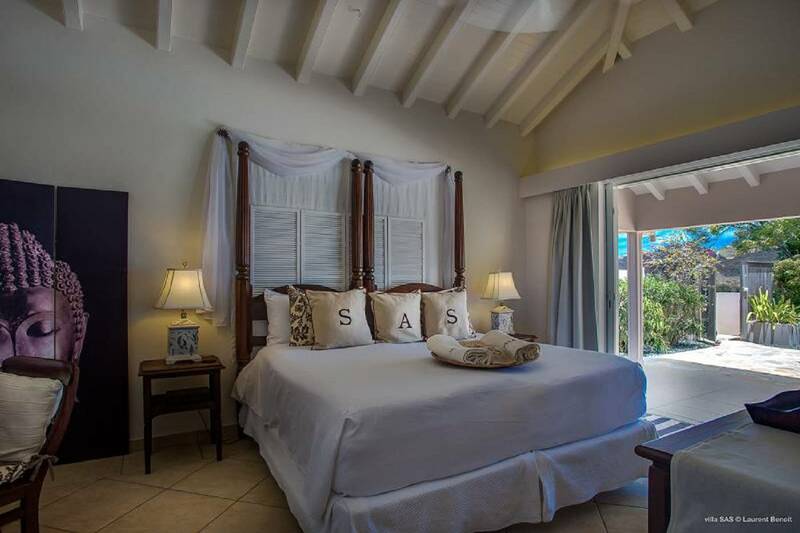 One has a king bed and the other twin beds convertible to a king. 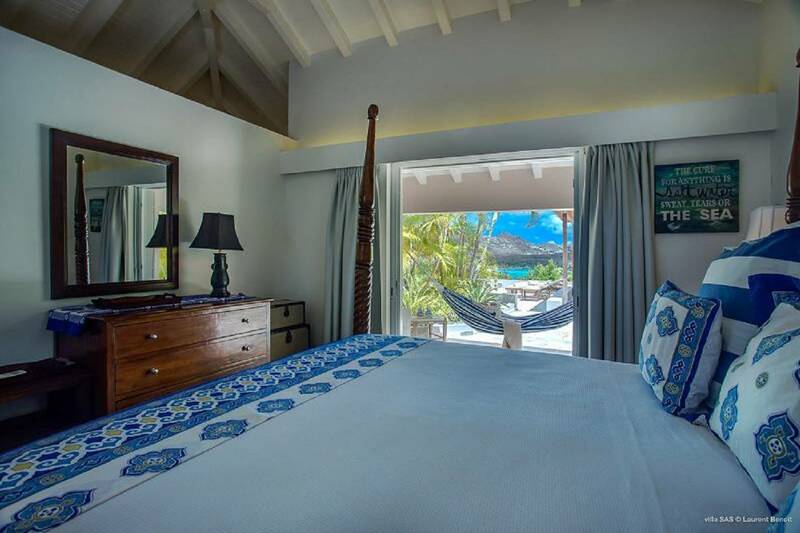 Fully air-conditioned throughout, all rooms have screens and open on to beautifully landscaped stone terraces and enjoy a water view. 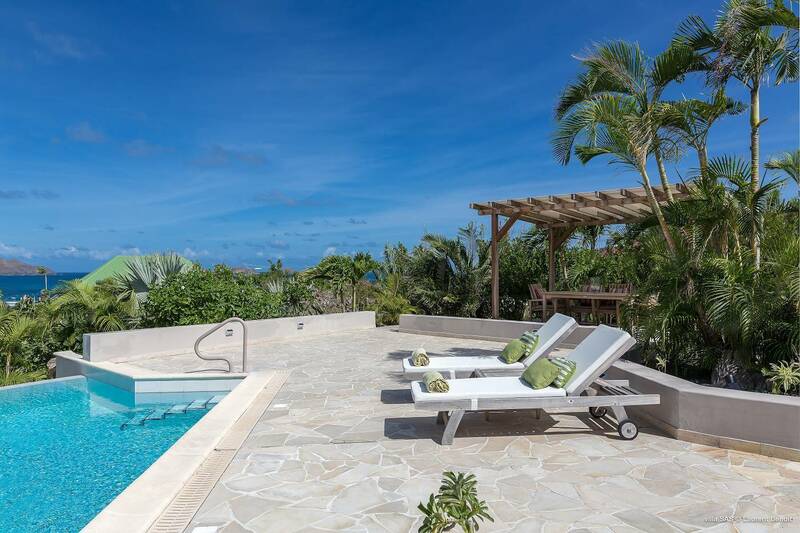 A heated infinity pool is a highlight that enhances the outdoor living space and an outdoor shower is a nice option for beachgoers. 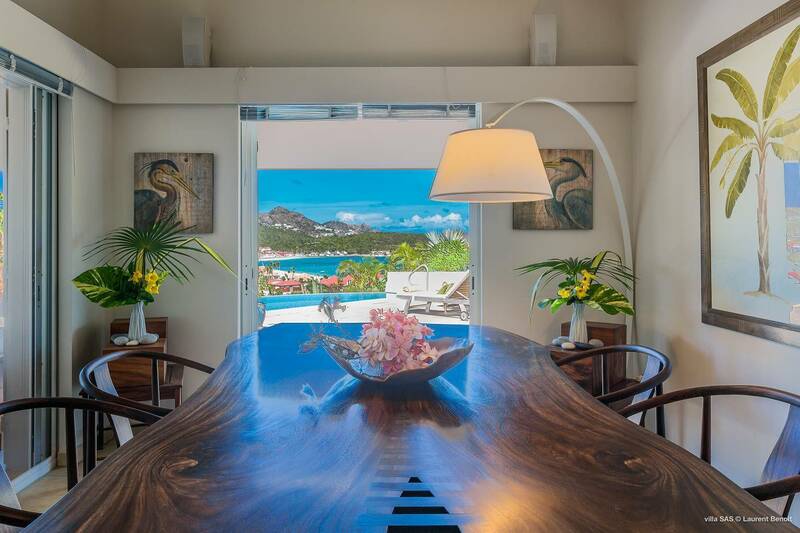 Amenities include an indoor-outdoor sound system, U.S. satellite and Apple TV. 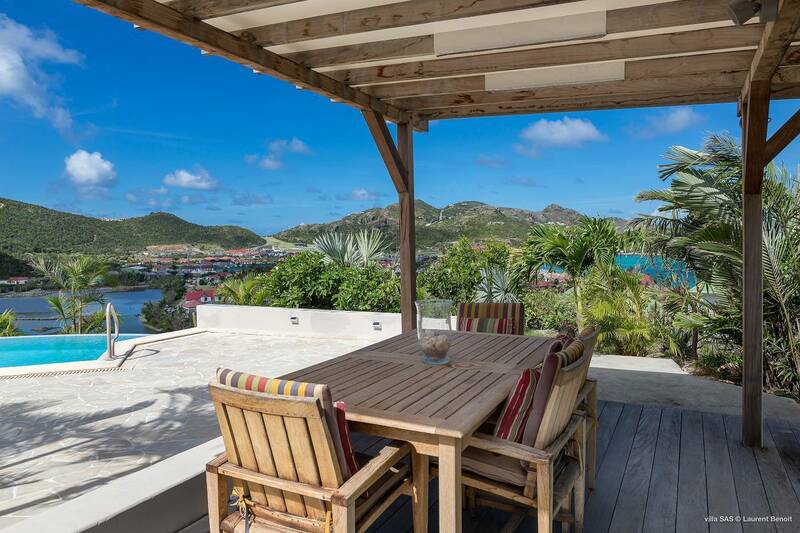 St. Jean Beach and the village’s shops and restaurants are all within walking distance. 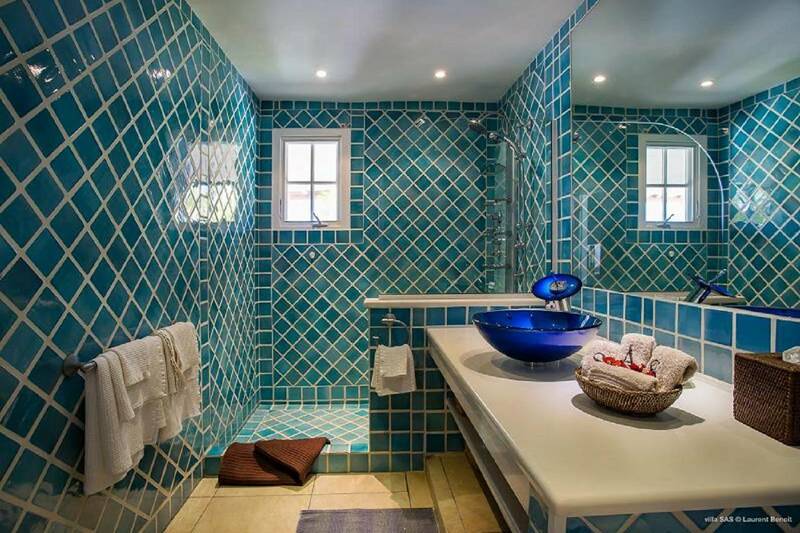 Non-smoking. 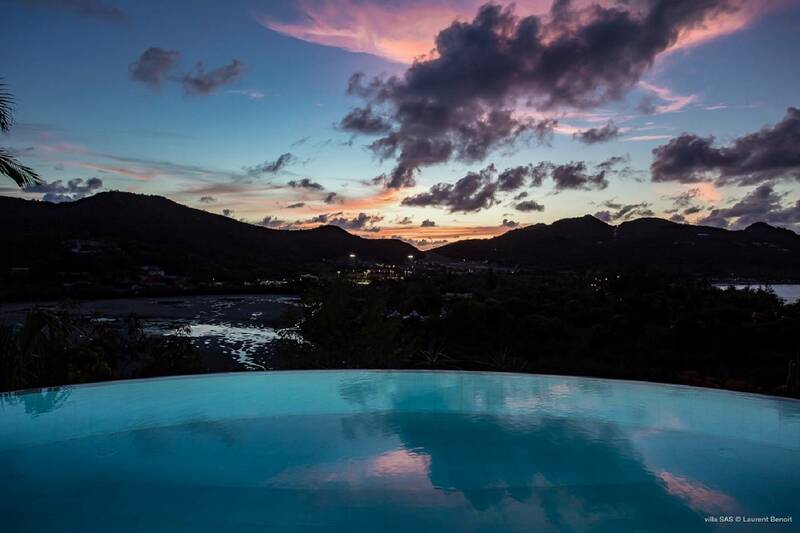 The views and the bonus sunrises and sunsets. 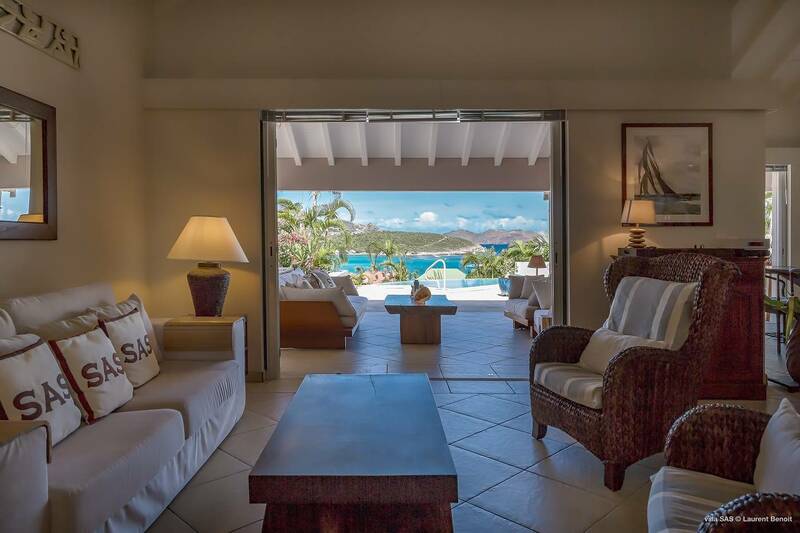 A one-level open floor plan; 2 en suite bedrooms; heated infinity pool.